Check out BIG R s Sporting Goods department for ATV accessories, plus all the gear you need for hunting, fishing and camping. 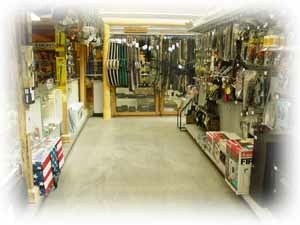 Big R carries a great selection of ammo, fishing poles, tackle, sleeping bags, tents, lanterns and cast iron cookware. We also specialize in horse outfitting supplies! Make sure to stop by before your next outdoor adventure!